We are extremely partial to underground garden offices here at Shedworking HQ and have reported on numerous bunker builds over the years. 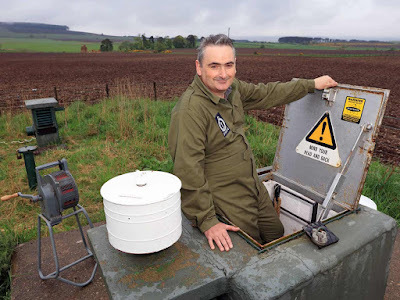 One of the finest is Dun 25, a three man nuclear bunker 20ft underground that is being restored by Jim Sherrit in a field near Edzell in Scotland (it is also a strong contender for Shed of the Year). 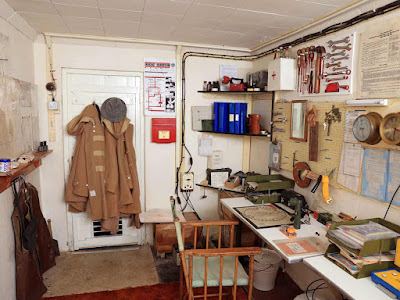 As garden offices go, it has some intriguing features - it can withstand a nuclear attack and has an entrance by hatch/vertical ladder. The dimensions of the main operations room are 15.5ft by 7.5ft. Jim's goal is to return it to working order and make it open to people studying the Cold War so they can experience history first hand. Made from locally-sourced materials, using sheeps wool insulation and a woodburning stove, all on a 360 degree turntable and featuring an external light-show, are you looking at the Shed of the Year 2016? 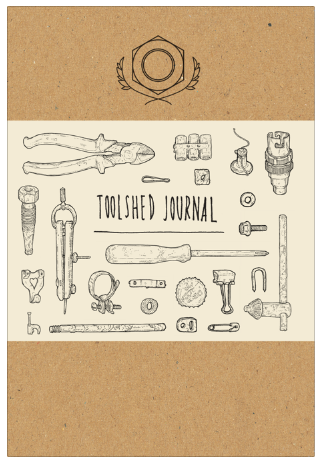 There is definitely an uptick in shedworking in New York and dezeen recently wrote a lengthy piece about the trend in working from your back yard in Brooklyn. This writer's shed garden office from Elizabeth Roberts Architects is at the back of the three-story Warren Mews Townhouse in Cobble Hill, Brooklyn. 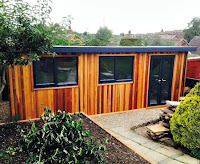 The new shedlike atmosphere replaced an existing garden shed. It’s not grand by any means! Bijoux would be more apt a description. But it’s just what I wanted as an alternative place for me to escape to…my little sanctuary. I’ve only been using it for the last month or so, since the weather’s warmed up. And I’ve found that I get lots of work done there... I tend to head out there in the afternoons, with a cuppa, for a couple of hours or so, as a break from my office indoors, a spare bedroom in our house. I love having the doors wide open, hearing birdsong and buzzing bees. And it’s even a lovely place to be when it’s raining. My design is based around a garden library. The facade of the building is to be clad from reclaimed timber, old doors, skirting, flooring etc. The intention is for it to be as colourful as possible in order to depict the colourful spines found on books and also the colour of flowers found in the garden. The internal space offers a larger than average window to let natural light in, with a small seat to sit and read books. 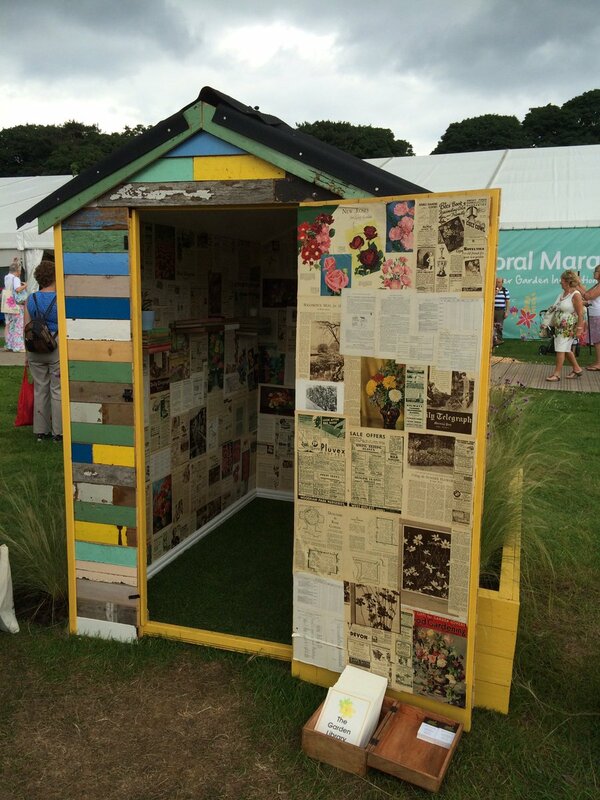 Books can be taken from the bespoke shelving or you can simply sit and read pages from gardening books that will be pasted to the walls. As this will be donated to my daughter’s nursery I have proposed artificial turf to the floor, bringing the outside in, encouraging them to take their shoes and socks off! Here is The Millenial Shed which is a comment on the UK's current housing crisis by Holly Fleming. And finally, The Moo House by Andy Walker which comes with its own cow. 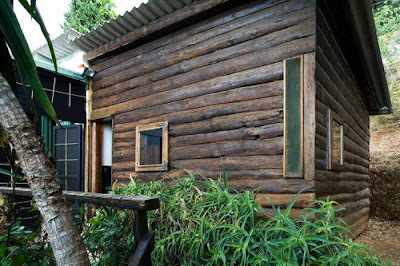 UNESCO has put more than a dozen works by Le Corbusier onto its growing lists of important architectural projects around the world, including his Cabanon. 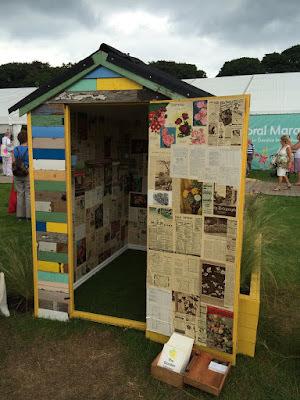 Shedworking's Garden Show correspondent Emma Townshend visited and wrote about it in a previous post (read it here) but essentially he built it in the mid-1950s as an exercise in minimal habitation but also intending it to be a birthday present for his wife Yvonne. 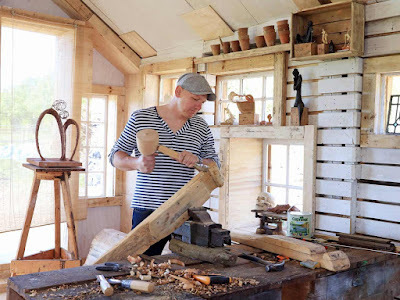 It look him less than 60 minutes to design and six months to build using prefab pieces of oak from Corsica for the interior and rough pine boards for the exterior (rather better than his first plan of using aluminium). In all it is 16 square metres - Le Corbusier boasted not a square centimetre was wasted. Le Corbusier: The Interior of the Cabanon, Le Corbusier 1952 - Cassina Reconstruction 2006 from Miami Design District on Vimeo. 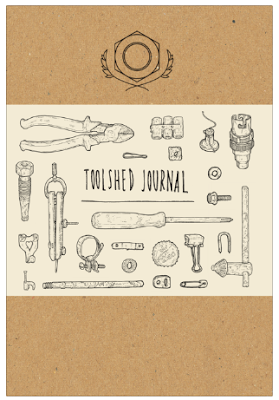 Regular readers will be familiar with the work of friend of Shedworking stylist and author Jane Field-Lewis who in her excellent 'my cool...' series of books has already covered sheds, houseboats, caravans, and campervans. 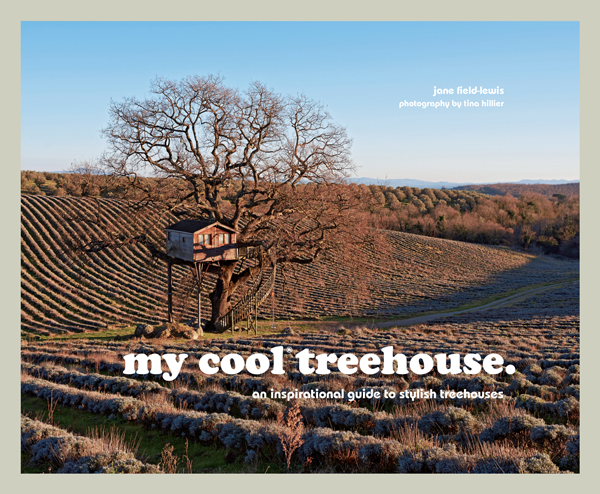 Jane's latest title is 'my cool treehouse' (Pavilion, £14.99 with cracking photography by Tina Hillier and lovely endpapers) and it is arguably the best so far. Subtitled 'An inspirational guide to stylish treehouses', the book takes a close look at more than 30 treehouses around the world, from incredibly simple ones that you can attach in an eco-friendly way to trees in a matter of minutes to cleverly recycled havens of calm and spectacularly complex modern versions. 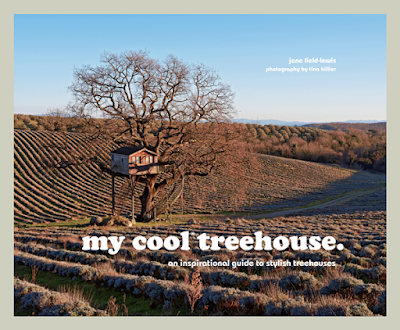 "A treehouse creates its own world," says Jane, "its own atmosphere. It's a distillation of some of the values and qualities we cherish most. 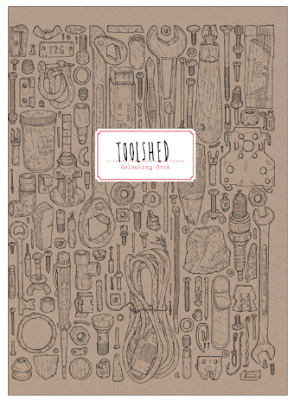 Resourcefulness, shelter, exploration, safetly, and romance, all entwined with an innate childlike desire for inhabiting something that is out of reach." There are eight categories - simple, architectural, soulful, handmade, art installations, eclectic, businesses, and modern - and each treehouse is introduced and then analysed in a 'style notes' section. There's also a useful sourcebook at the end. 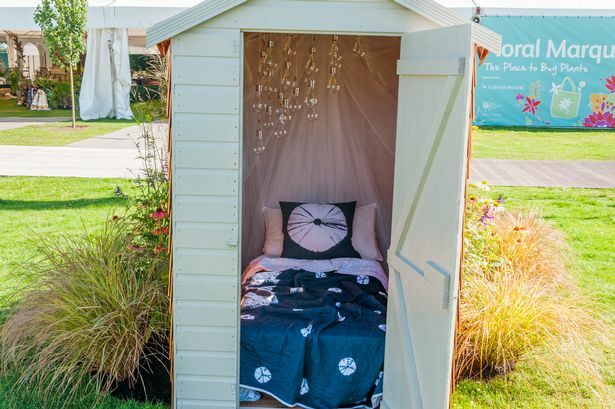 Naturally, it's the businesses chapter the Shedworking staff were most interested to browse - our favourite were the off-grid treehouses created by Peter Canham in the Welsh mountains. 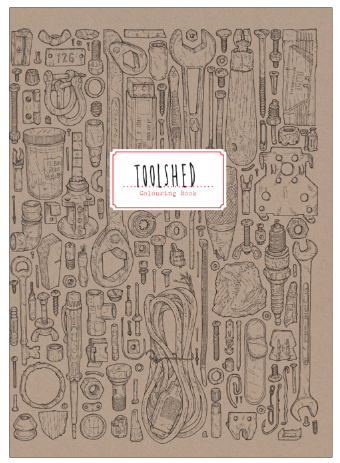 Overall, a strong contender for shedlike book of the year. Last year, the Tatton Park Flower Show launched a new area called Garden Hideaways which proved very successful, so much so that they're repeating it again this year. It's the same idea, all about making the most of microarchitecture and they've picked out three promising concepts in particular for visitors to enjoy this week: Blooming Bridgewater, which explores the eponymous canal, and Outside-In and The Garden Library which both "focus on creating a retreat from the busy world outside". Pictures later in the week here on Shedworking but in the meantime pictured above is last year's winner of the section, The Invisibility Tardis Shed of Navel Contemplation, designed by Manchester School of Art. Below are some early tweets of the sheds. Jessie Burton, bestselling author of The Miniaturist and most recently The Muse, works from the garden office at her London home (or what she calls her 'she shed' in a Guardian interview which describes it as a "literary wendy house" which was paid for from the profits of her first novel and in which she wrote the second). You can see her at work in an excellent Audible video which looks at how her latest work was turned into an audiobook. The second issue — that of sustained isolation — is a much harder nut to crack. You cannot write a novel by committee. 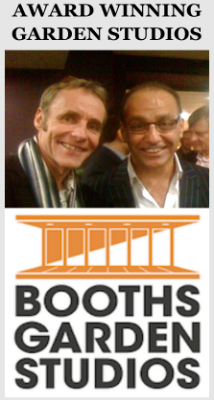 Before I was published, my professional career was conducted in gregarious rehearsal rooms and communal city offices. 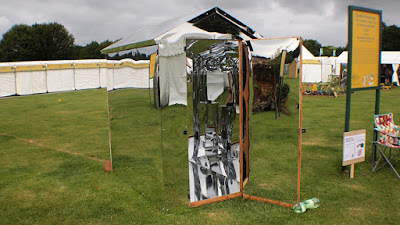 These days, working from my writing shed, I regret the lunchtimes particularly, because there’s no one around to play table-tennis with me in the garden. 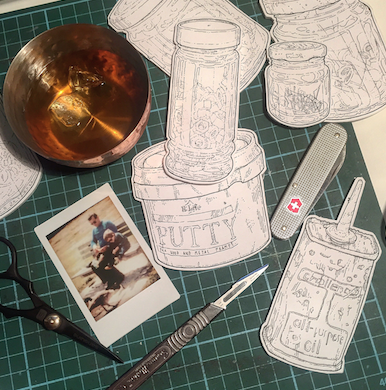 Then the phone rings: it’s my editor at Picador, and as we brainstorm for two hours on how to make the second book fly, I feel less alone. 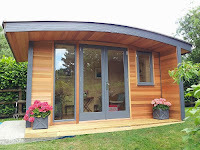 This is a guest post by Oeco Garden Rooms for anyone considering buying a garden office, the advantages of owning one and advice on materials used in construction. As the popularity of working from home continues, so does the need for a separate working environment away from the hustle and bustle of the main house. 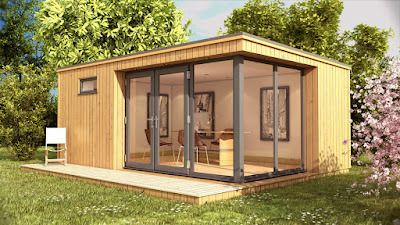 Garden rooms have been filling this niche for some time, but now these truly habitable spaces are becoming a popular choice for home owners who want to extend their living space for a multitude of uses including hobby rooms, home studios or even relaxing areas to unwind in their spare time. 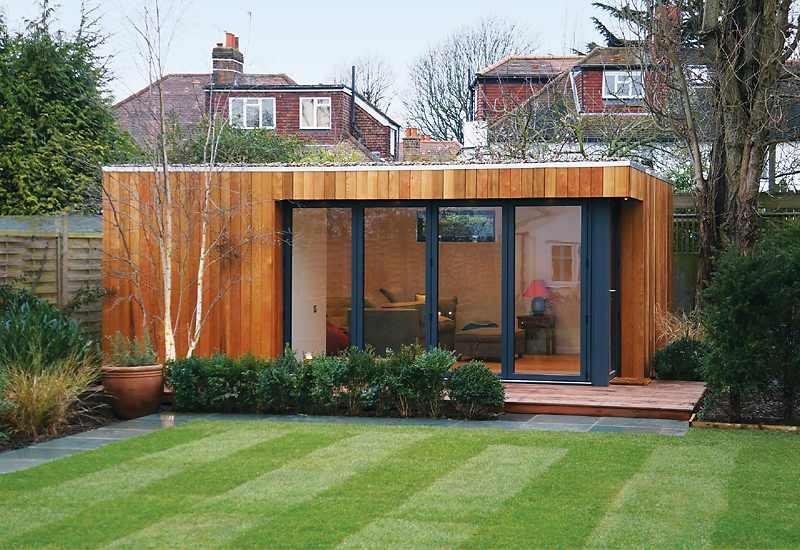 More space – Garden rooms create additional space without taking up any more room within the home or having to build a lengthy and expensive extension. 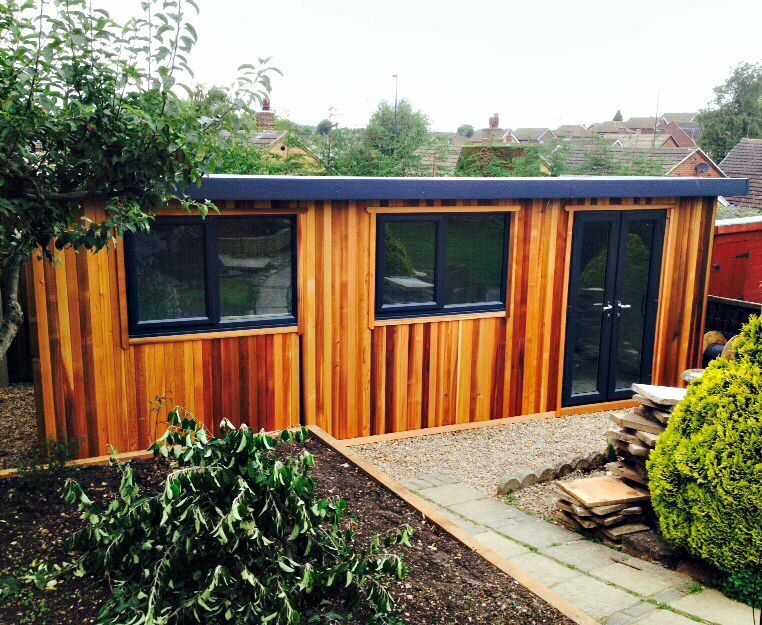 Multiple uses – A garden room can be used for a multitude of things including as an office, hobby or games room, music studio or just a place to relax and unwind away from the distractions of the main house. 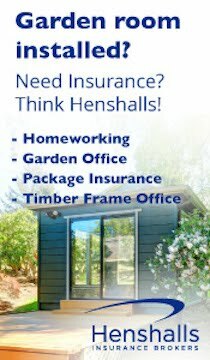 No planning permission – In the majority of cases, garden rooms do not need planning permission to be built, but it is always important to check with your local authority before starting work. 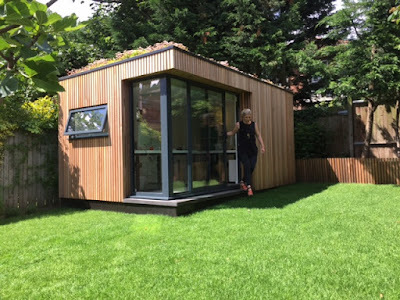 Minimal ground work needed - Specially designed concrete pads and heavy duty steel feet mean that a garden room can be installed just about anywhere in the garden with a minimal amount of ground work, saving money and time during the project. Bespoke customisation – A garden room can be customised to your specific needs and come complete with a comprehensive electrics package and lighting as standard. Some of the customised options include installing sound proofing, adding additional internal walls and doors, or fitting a toilet, sink or shower into the room. 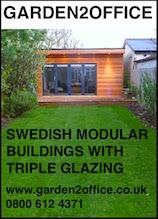 You can even choose where external windows and doors are located. 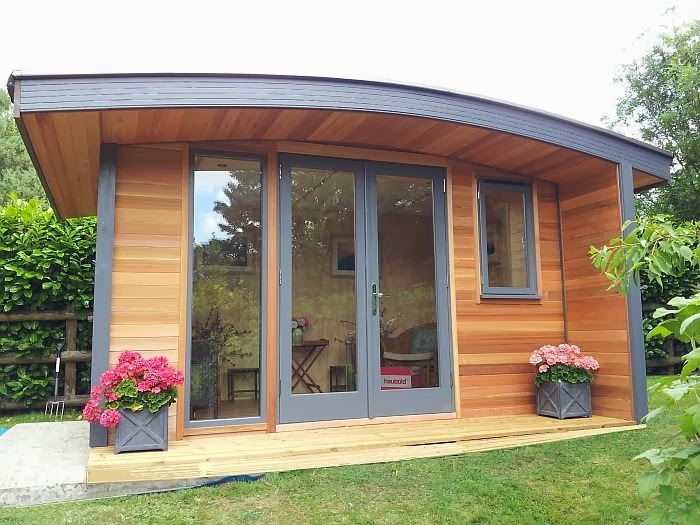 Cheaper than the alternatives – Garden rooms can be a lot cheaper than an extension or loft conversion, and because it is situated in the garden, the disruption to the main home is greatly reduced. 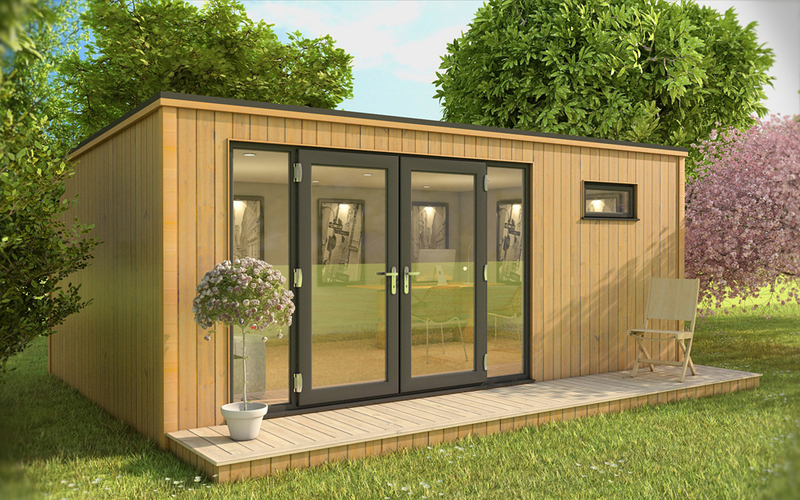 Quick to build – Even with a range of optional extras, garden rooms can be built in a matter of days compared to loft extensions and conservatories which can take weeks to complete. 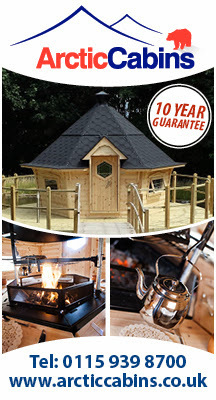 Use all year round – Superior insulation means that the garden room can be used all year round, staying warm in the winter and cool during the summer months. On-site installation – Due to the modular nature on garden rooms they can be installed just about anywhere without the need for specialised machinery. 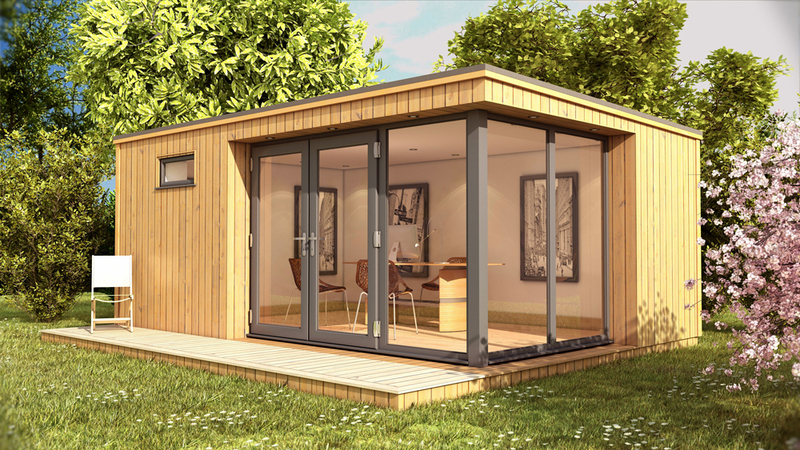 Garden rooms can also be installed in areas with limited access as all of the building components will fit through a standard door frame. PVCu windows and doors – Manufactured to the highest levels of security, these windows and doors will keep your belongings safe and secure when not in use. 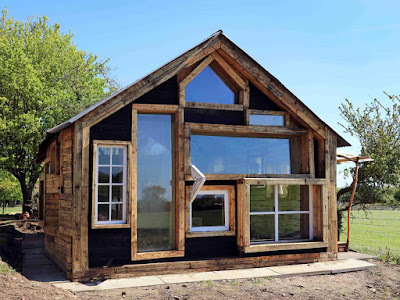 These windows and doors feature a great level of thermal insulation keeping the room warm in the winter and cool in the summer for all year round use. 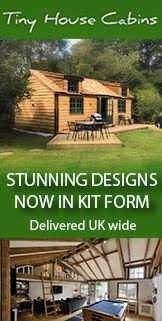 Western Red Cedar external timber cladding – Western Red Cedar is the perfect choice for finishing the outside of the garden room. This cladding is obtained from sustainable sources and features a tongue and groove design which ensures water tightness. Western Red Cedar also has a natural resistance to rot and decay-causing fungi meaning that it does not need any additional chemical preservatives. Timber framed – Each garden room uses heavy duty structural graded timber frames to provide strength and durability to the structure. 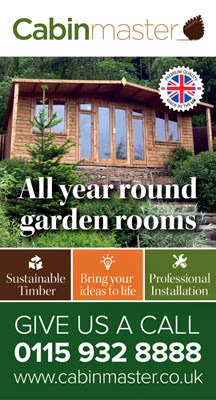 These timbers are pressure treated to protect against rot and insect attacks to ensure a long life. Thermal insulation panels – Interlocking metal roof panels with a thermal core and Kingspan rigid thermal insulation panels are used for the roof and walls of the garden room. 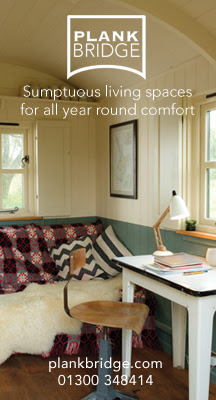 This ensures that the room can be used all year round, is waterproof and is capable of providing a truly habitable space for years to come. 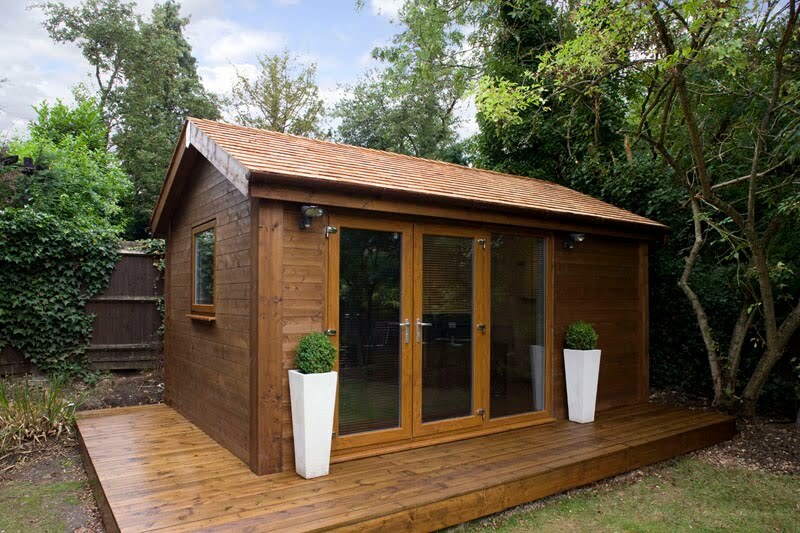 Electrics & Lighting – Each garden room comes complete with a comprehensive electrics package which includes a consumer unit, double electrical sockets, lighting and light switches. These electrical components can be placed anywhere in the room to suit your individual needs. 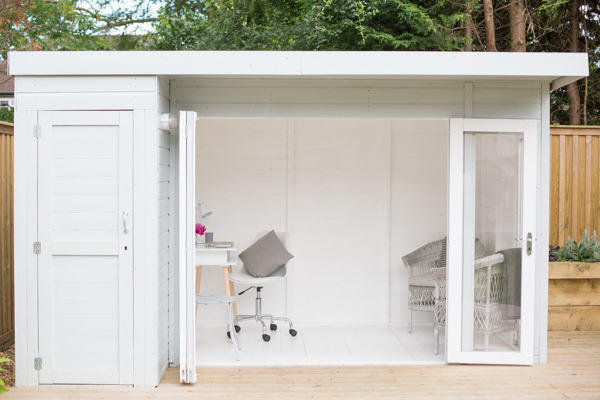 One of the most common queries we receive at Shedworking HQ is 'What kind of business can you run from a garden office?" And the answer is of course, pretty much anything. 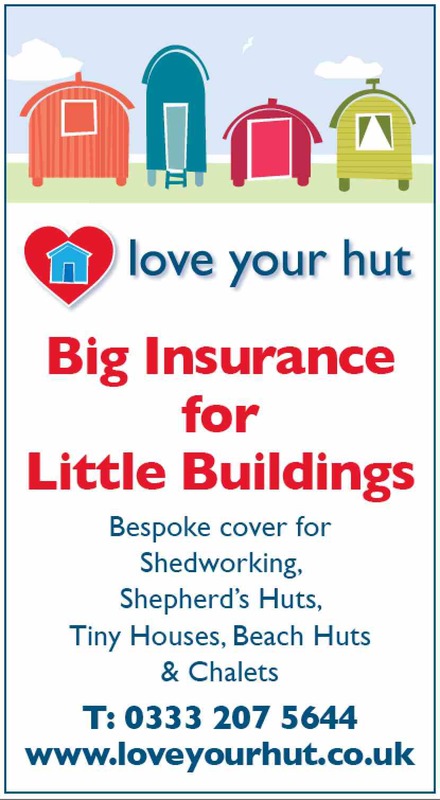 Here'a a particularly wonderful example, The Shed Hair and Beauty which is based in Manningtree, Essex, and owned by Jessica Wilson. Attractive on the outside, the interiors - put together by Detail Design Studio - are really special, featuring reclaimed cinema seats, chandeliers, and antique mirror-effect wallpaper. "Having the shed means Jessica can work from home," explained Glynne Gerrard from Detail Design Studio, "but she still wanted to offer her clients a top salon feel. So we designed the interior trying to use every inch of space but keeping it simple and elegant. Since the refurbishment it has totally and utterly transformed her business and Jessica is now looking to extend or build a second one to offer more beauty treatments." 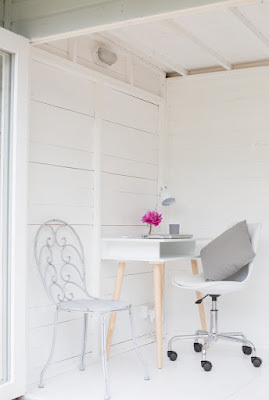 We needed some extra space in our home for work but, instead of asking for planning permission for an extension, we opted for a garden office which can double as a space to relax too. 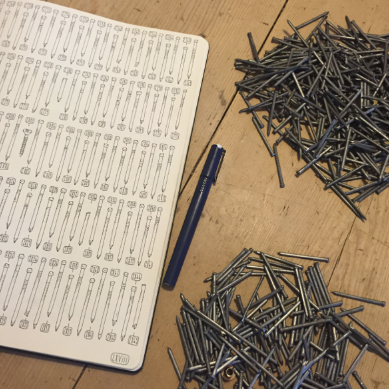 I’m sure anyone who chooses to work at home will know that there can be some drawbacks despite the obvious benefits. When working at home, it can be difficult to switch off at the end of the day and having everything to do with work around you can be distracting. Our new purpose built space in the garden helps put both of us in ‘work mode’ and keeps all our important stuff away from the kids for peace of mind. Despite our commute being increased by thirty seconds, it has really improved our work life balance.